Bay Leaf Restaurant is the name of a delightful gastronomic journey that will help you in exploring one of the most diverse culinary in the world that is Indian cuisine. At this venue, guests can bask in flavours that range from subtle to intense, which segregates Indian cuisine from the rest of the cookery. The menu of this eating place on the other hand contains almost all traditional varieties of Indian cooking, which can expect from an Indian restaurant. Moreover, the quality and price of food at this eatery are also quite decent, thus making Bay Leaf Restaurant an ideal venue to relish Indian delicacies. You will find Bay Leaf Restaurant in the area of Al Barsha, Dubai, which is a central location in the city. 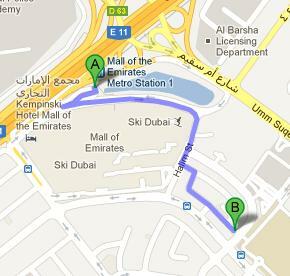 Therefore, people from all parts of Dubai can easily access this venue to enjoy food and drinks. 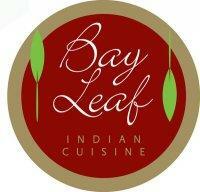 Bay Leaf Restaurant is a great venue to take pleasure from amazing Indian cooking, especially for those, who have not tried Indian food before. The Indian dishes at this bistro are cooked quite delicately by following the authentic recipes and using fresh ingredients to produce the best flavours. The menu of this restaurants ranges from hot oven items to chef’s platter, meat items to seafood and whole lot variety of desserts along with regular drinks. Children with the families are welcomed in this restaurant, who come here to devour Indian delicacies. The menu of Bay Leaf Restaurant can be seen from here. The opening and closing time of this eating place stays the same throughout seven days of the week, as it opens daily. The activities start taking place at noon in this restaurant and come to an end at midnight. Al Barsha - Dubai - United Arab Emirates. Mall of the Emirates Metro Station 1 is 17 minutes walk from the Bay Leaf Restaurant, as this transportation site is 1.4 kilometres away. A commuter can reach Bay Leaf Restaurant in 17 minutes, if he or she follows these directions. Head in the southeast direction from this metro station and then turn right. Afterwards make a sharp left turn towards Halim Street and then continue straight onto Halim Street, before making a left turn. This will lead you to a turn on the right side, from where destination is not too far on the left. Al Barsha A1 bus stop is just 3 minutes walk from the Bay Leaf Restaurant, as it is sited 240 metres away. To reach the Bay Leaf Restaurant from Al Barsha A1 all bus passengers need to do is to head in the southeast course, then turn left and afterwards make another left turn to get to the destination that is located on the right side. Directions.